How does tarragon cream sauce on beef sound to you? 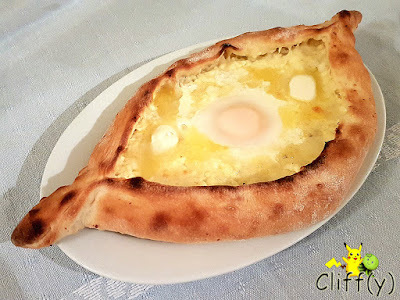 Similar to the situation in Gori, my BFF and I had one and only one opportunity for a proper meal in Kutaisi, Georgia. We had only one place in mind, which had been decided during our trip planning stage. That's Bar-Restaurant Palaty, which is possibly the best restaurant in the city according to many. 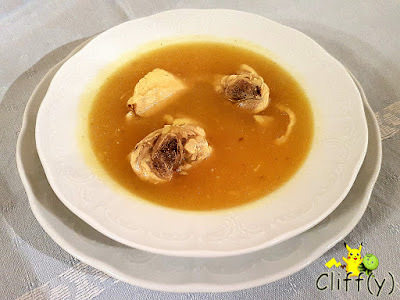 Have you tried the national dish of Georgia? Said to be a local soup almost completely without a vegetable base, chikhirtma isn't something that really suits my palate. The chicken broth thickened by beaten eggs tasted a bit savoury and, oddly enough, somewhat bitter. Having said that, the chicken was quite tender. Buttery, cheese and eggy - it's none other than the national dish that's full of cholesterol. I was thankful that I had my BFF to share it with because I definitely wouldn't be able to finish such a rich and decadent delicacy on my own. The bread was just a tad hard on the edges, but quite fluffy elsewhere. 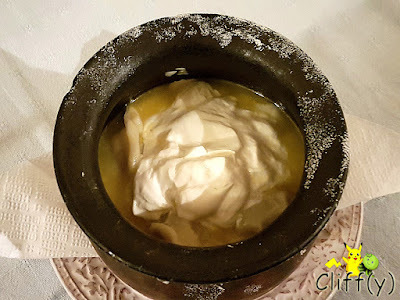 Served in an earthen pot were roughly ten pieces of soupy meat dumplings with melted butter and lots of sour cream. 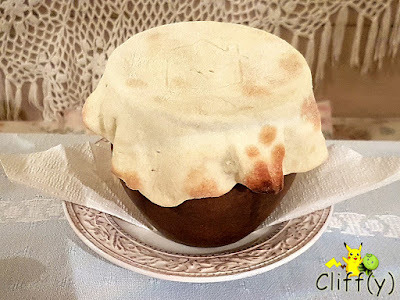 The thin dough layer covering the pot tasted quite nice. I believe the filling was a mix of minced pork and lamb, which was succulent enough. 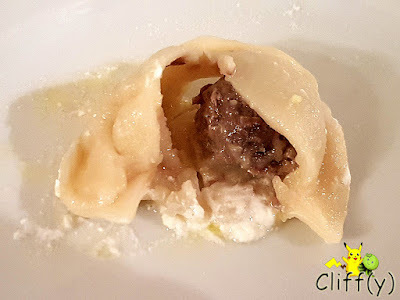 The dumpling skin was a bit too thick for my liking though. As the restaurant's specialty, the beef with tarragon dressing certainly lived up to my expectations. 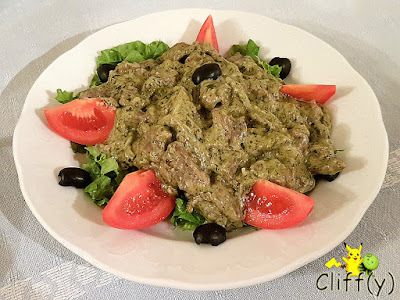 Sliced beef with a bit of its fatty layer were cooked with creamy sauce that was made aromatic by the generous amount of chopped tarragon leaves. Underneath was a bed of salad, accompanied by a few olives and tomatoes. 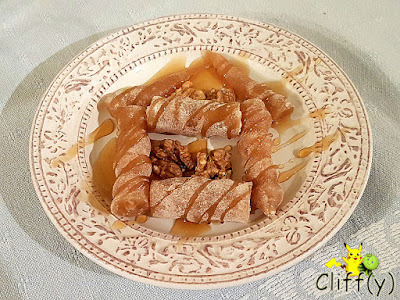 As we hadn't had enough of churchkhela (Georgian candle-shaped candy made of grape must), we decided to share a plate of it for dessert, which came with walnuts and honey. The texture was harder than the one we got as a welcome gift at Hotel City Centre in Tbilisi though. 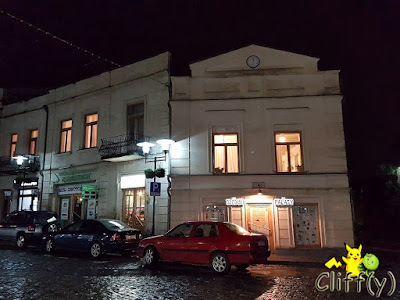 I'm not too sure if it's really the best eatery in Kutaisi, but I'm really missing the unique beef dish. 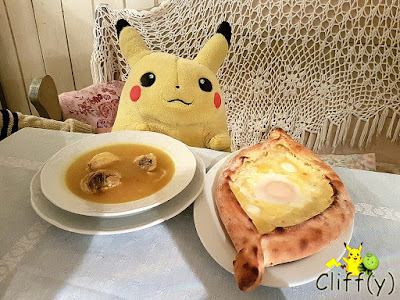 Pika's advice: If you come in a party of three or more, you may want to consider the Special Menu 'Palaty' that includes quite a number of dishes for sharing. 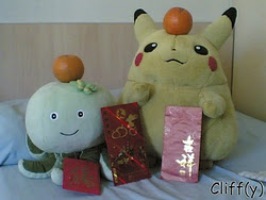 It costs GEL 80.00 (~S$42.80).